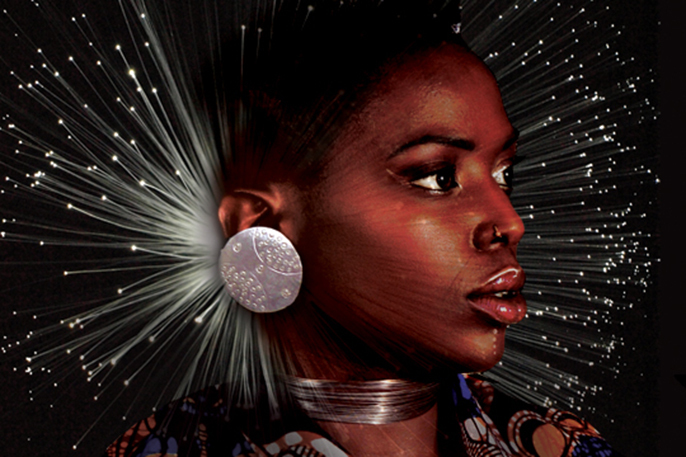 Manchester poet, playwright and performance artist Chanje Kunda presents, Superposition, an extraordinary performance combining lap dancing and science to better understand the laws of attraction from a feminist perspective. Chanje Kunda uses spoken word, live art and dance fusion to present her findings in a paradoxical but hugely entertaining one woman show. In an age where women’s eroticism is commodified and cheapened, Chanje Kunda is searching for new ways to celebrate female eroticism through science, spirituality and sensuality. Based in Manchester, Chanje Kunda performs nationally and internationally. As a poet, she has performed alongside some of the most influential modern poets including Benjamin Zephaniah and Linton Kwesi Johnson. For theatre, her last piece AMSTERDAM premiered at Contact in 2014, was nominated for both the Manchester Evening News, and Alfred Fagon Awards, and has toured widely across the UK and internationally including the Africa Utopia Festival at the South Bank and the National Arts Festival in South Africa. In 2015 Chanje won the BBC's Verb New Voices Award including the commission of a short film PHYSICS broadcast on BBC iPlayer. Chanje Kunda is an artist on the Developed With The Lowry programme. SUPERPOSITION has been jointly developed with support from Divergency, Contact, hÅb, STUN and The Lowry.